Make your special day memorable with our wedding website template. Famous fashion designer Carolina Herrera told that the bride’s wedding dress must be intimate & personal and it should also reflect the personality of the bride. A wedding website is no way different from the bride’s wedding dress, it must also reflect the style and personality of the bride and the groom. 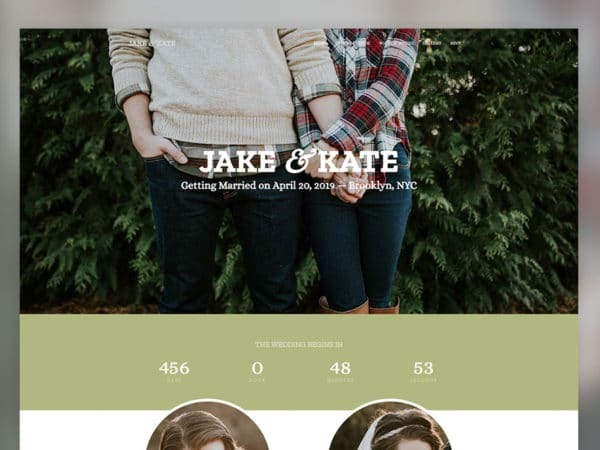 Our versatile and flexible website templates will help you make unique wedding websites within minutes. With useful elements clearly show the seating charts, let your friends and relatives confirm their RSVPs. Plenty of space is given on the templates to let you add your images and videos. Our wedding website templates will be a complete package and will reduce your work.